Since the moment my kids had their first bite of candy, Halloween has been their absolute favorite celebration. They start planning their costumes well in advance of the month of October and can barely contain themselves in the days leading up to the 31st. This year things are obviously quite a bit different for us, but luckily the kids still got to experience some of the magic of Halloween. 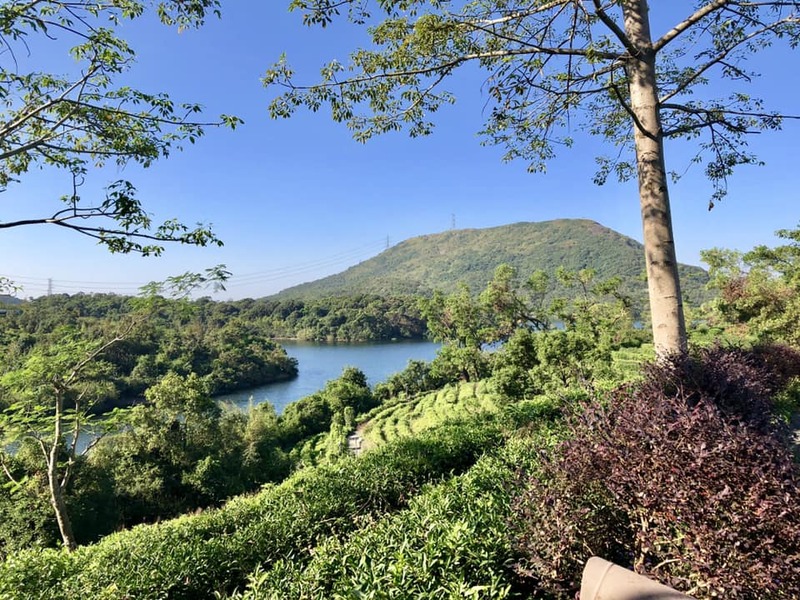 Since we live in a fairly isolated part of Shenzhen (Dameisha), we haven’t really connected with much of an expat community. The upside to this is that all the expat teachers we work with have really come together to create our own little community to support one another. One of my coworkers, who has a 7-year-old son, decided to organize trick-or-treating around our neighborhood and recruited teachers who were willing to hand out candy to the munchkins. Word quickly spread and our little group of about 8 kiddos grew to around 25. Since most of the teachers were busy on Halloween night with school activities, we scheduled the trick-or-treating for the night before Halloween. The woman who organized the trick-or-treating created a map of all the candy stops and after gathering in front of stop #1, we all headed out on our trick-or-treating adventure. The kids were elated to be in their costumes and eagerly ran from spot to spot. It was fun to hear the mix of languages among the kids as there were kids from the US, China, and Russia all running around together. It took us nearly 3 hours to finish all of the trick-or-treating and at the end of the night, the kids came home with enough candy to last them the rest of the year. So far, they’ve been doing remarkably well with the one piece a day rule which means that if I can stay away from it I’ve got plenty of bribes to keep them in line. On Halloween day, I dressed up along with most of the other members of the English department. We had originally planned to all go as superheroes, but not everyone went with that theme. The students were all very entertained by our outfits. That evening, we brought the kids back to campus to watch a Halloween themed performance by the music and drama departments and everyone fell into bed at the end of the night thoroughly exhausted. How did you spend your Halloween? If you’re living outside of the US, how is Halloween celebrated where you are (if at all)? I enjoyed your post – and the spider man is my fav here.